Steve Meleen has specialized in trademark law since he began his career with Arnold White & Durkee in 1996. Steve handles all aspects of trademark and unfair competition law, and primarily focuses on trademark litigation. He is also experienced in copyright counseling and litigation. Steve has been actively involved in internet developments and policies affecting trademark owners, and devotes a significant portion of his practice to internet-related trademark issues. 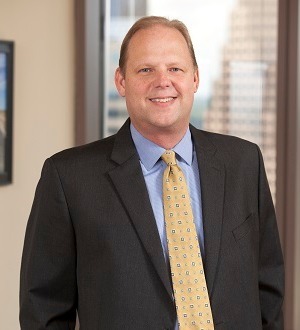 He has served as Chair of the Trademark Internet and Trademark Litigation Committees of the American Intellectual Property Law Association, and Chair of the State Bar of Texas Intellectual Property Law Section’s Trademark Committee. Steve received his J.D. with honors from The University of Texas School of Law, where he was a member of Texas Law Review and Order of the Coif. Before law school, he was a nuclear engineer at Puget Sound Naval Shipyard, where he specialized in reactor plant shielding of nuclear-powered submarines, aircraft carriers, and guided-missile cruisers.